Edit any PDF, Word Doc or Image. No software required. Simply upload and go! 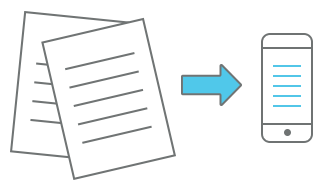 Use your mobile device to convert paper documents to PDFs instantly. Go to formswift.com/snap on your phone to get started. Edit your PDFs with FormSwift’s free and easy to use PDF editor. Now, you can edit any PDF document using our free PDF editor. There is no downloading or installation process! Simply upload your PDF, edit or digitally sign, and share it. Businesses can now quickly and easily edit and digitally sign and deliver a bill of sale, a lease agreement, or an invoice without paying a monthly subscription fee.